Becky's Hope Horse Rescue – Making a difference! A life so beautifully lived deserves to be beautifully remembered. To the loving friends and followers of Bubbles the Rescue Horse! Please join us as we celebrate the lives of Bubbles and Muffit! 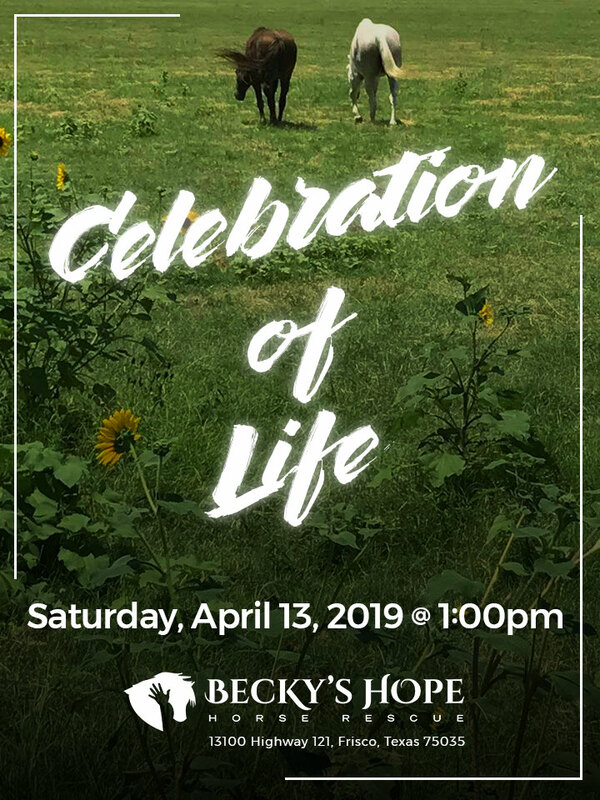 Forever in our hearts, we will gather to share stories and remember these two cherished lives - and the lives of the many more we have lost - all lives that were lived to their fullest at Becky’s Hope Horse Rescue! We will remember the happy times, blow bubbles to the wind in tribute, and celebrate in honor of Bubbles and Muffit. Please RSVP if you plan to join us for the celebration on our FaceBook page or email hope.sue@yahoo.com! It will be held at Becky’s Hope Horse Rescue in Frisco, Texas from 1 - 3 pm on Saturday, April 13th. Gates will open at 12:30 pm. Bubbles: The Rescue Horse, one of our many residents at Becky's Hope Horse Rescue. Your support makes this all possible. Becky’s Hope Horse Rescue (BHHR), a 501(C)(3) non profit charity dedicated to the rescue, rehabilitation and rehoming of abused, neglected and abandoned farm animals, was founded in 1997 in Marlin, Texas and is named after our first rescued horse. 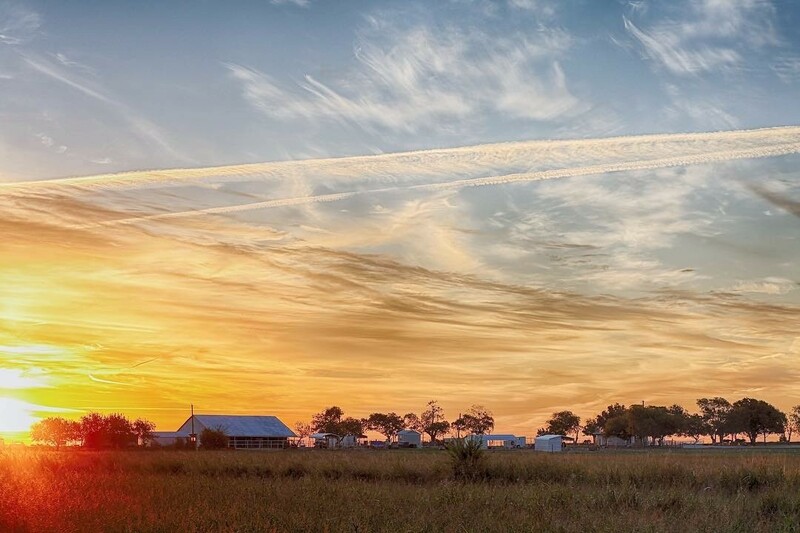 The rescue relocated to 120 beautiful acres in Frisco, Texas in March 2014. 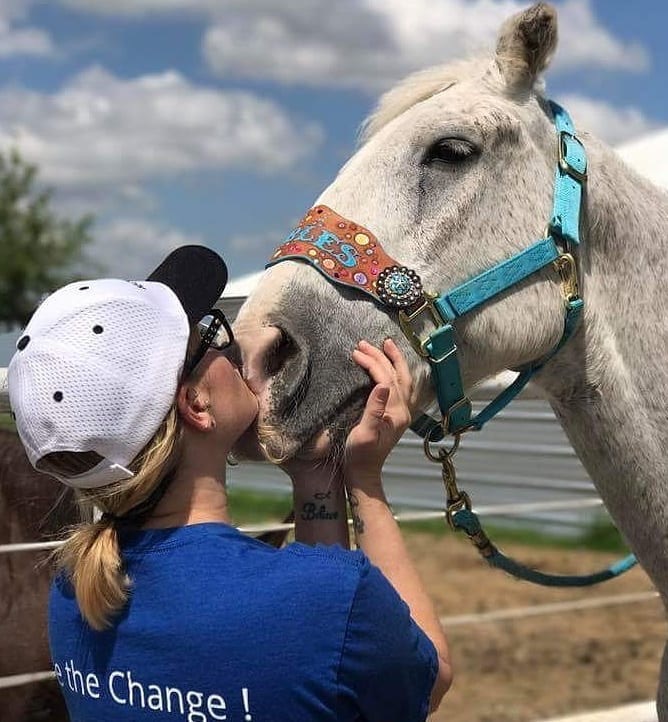 Becky’s Hope is an all-volunteer organization entirely funded by tax-deductible donations and every donation is spent exclusively for the care and maintenance of the animals. We are entirely committed to our goal of giving the animals we love the life they deserve. REST IN PEACE SWEET BECKY...In July of 2016 we lost the horse that changed our world. Becky passed, surrounded by people that love her. Her legacy is one few creatures have achieved. She is responsible for saving hundreds of horses. 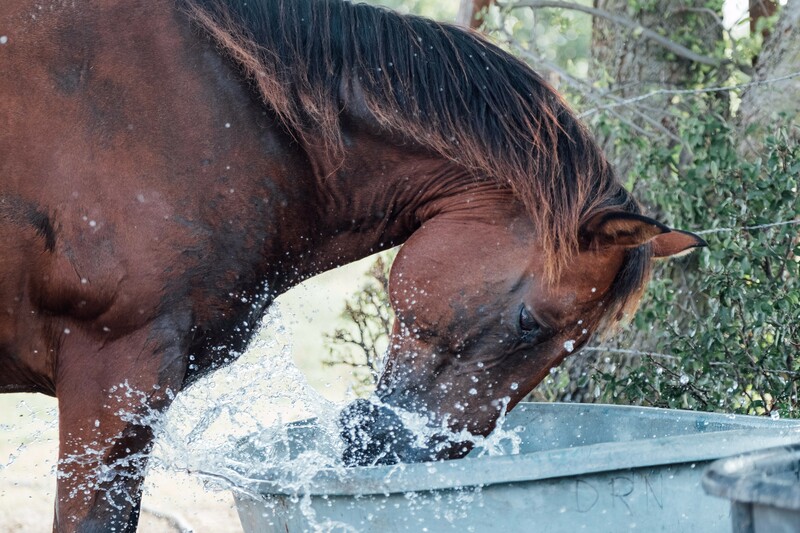 For almost 20 years, Becky's hope was that all horses find safe, loving homes. We will continue to fight in her name. Please take a moment to love on those in your life that fill your soul with love and happiness. Speak out for those in need. BE THE CHANGE! Becky lives through all of us.